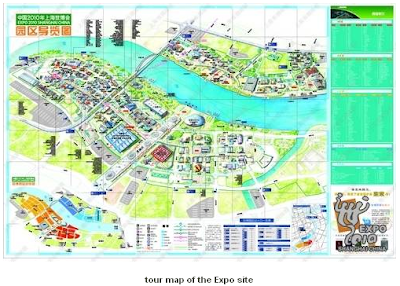 The ongoing Shanghai World Expo 2010, suggestively the most extravagant and costliest world fair by all practical means till date in the world, is underway from May 1, 2010 to October 31, 2010 on the banks of the Huangpu River in the city of Shanghai, China. Built over a staggering land area of 5.28 square km, this world expo (world trade fair) has cost an enormous $58m, with 190 countries and some 50 international organizations, having got built their life-sized pavilions to showcase their presence. But, thinking back, does spending in the tune of millions and millions of American dollars on constructing pavilions and structures to showcase a country's or an organization's mark, be justified? Some may argue the move was right in the time of world's slowdown of 2008-2010 (2010 perhaps!!) when the world governments and authorities, etc. committed substantial funds to keep the economy wheel churning, and not get rusted resulting in a chain reaction of meltdown. 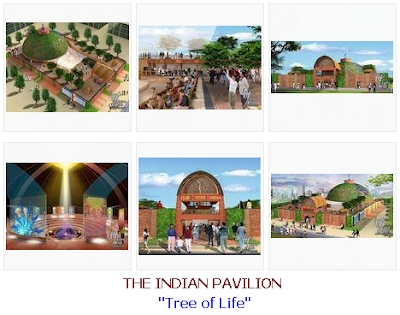 Whatever the reason behind this exorbitant construction spree be, let us-- for the purpose of pure academic interest-- focus more on the aspects of plan, design, architecture and theme behind the famous pavilions that have been in news. For the purpose of sharing with our readers, the central theme behind the Expo 2010 has been christened by the Chinese authorities as-- "BETTER CITY, BETTER LIFE"-- exclaiming the world attention towards the coveted WORLD CITY STATUS to SHANGHAI, which is claiming the "next great world city" status in the world's geo-political domain. Besides these 5 main themes, pavilions of 190 countries and some 50 international bodies & organizations have been grouped in 5 zones, viz., Zone A, Zone B, Zone C, Zone D and Zone E.
Do check out the significant country-specific pavilions being spoken of for good themic designs on the official Expo 2010 website or any other reliable website that is reporting the fair. As far as our opinion is concerned, some of the pavilions have been architectural marvels, while a few pavilions have simply been sorts of waste of money and efforts of course. Readers interested in reading about and looking into the pavilions of all the countries and organizations can surf through the content at the Official Website of Shanghai's Expo 2010. Designs pictures of the Indian pavilion is reproduced hereunder, with a request to our readers to share the actual visit snaps if some of you happen to visit the place in person.